Let’s start with the champs. It has been since the turn of the century that any team has repeated as champions and free agency is a large reason why. The Kansas City Royals already bucked a lot of historical trends this past season by winning it all by what was usually a lower market team. Not many prognosticators are picking the Royals to repeat not due to them being a fluke, but due to the fact that they are going to probably lose a few of their postseason stars and it’s thought that they won’t be spending the money to replace them either. Both Royals starting corner outfielders (Gordon and Rios) are free agents along with potential outfielder Ben Zobrist thus leaving outfield as a big need. Lorenzo Cain (arbitration eligible) is still among the league’s elite in center. Jarrod Dyson and Paulo Orlando have been used primarily as defensive or speed replacements and probably do not forecast as everyday outfielders. The starting rotation may also take a hit as rent-an-ace Johnny Cueto will be hitting the market along with number four and five starters, Jeremy Guthrie and Chris Young. Ryan Madson, coming off a career year, is also a free agent. With Greg Holland missing most of the season due to Tommy John surgery leaves the Royals strength of the past two years, the bullpen, not nearly as strong (EDIT: Holland was non-tendered on 12/2). If the Royals are willing to match last year’s payroll they have a lot of flexibility to go after some of the top free agents. History says that they won’t so they may be targeting second tier players to fill in their holes. The Royals are built on defense and to replace Alex Gordon, they will probably want someone who can make up for what they’re losing. Denard Span or Dexter Fowler may make a lot of sense here, however either would cost a first round draft pick. Ryan Raburn isn’t great defensively but he is very familiar with the AL central and can crush left-handed hitters. As for starting pitchers, fly ball pitchers haven’t scared the Royals in the past (see: Chris Young) and if they do replace Alex Gordon, that will probably remain the team mantra. Jeff Samardzija may make sense here although may cost more than the Royals are willing to spend. Look for a Colby Lewis or a Ryan Vogelsong to fit in here as Yordano Ventura and Edinson Volquez plan to move up in the rotation. Royals stay away from the big free agents and the qualifying offer guys and do not set off any fireworks this offseason. They will need to bring in some corner outfielders, but I believe they will be on the younger side (Gerardo Parra, perhaps?). Same goes for starting pitchers. 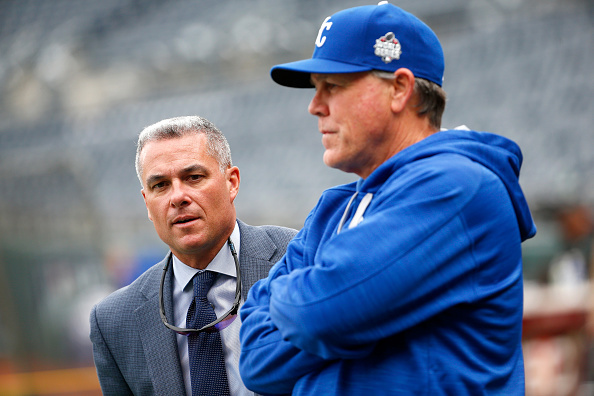 There is still a great core here in Kansas City but they may try to fill in from within the organization and surprise people again on their route to repeat. The Twins were a surprise contender in 2015 and throughout the season most people contributed it to a large luck factor. They were proven correctly ultimately, as the Twins did not hang on, just barely missing the playoffs. The Twins are loaded with young talent as Byron Buxton and Miguel Sano both got experience last season. The Twins have already been busy this offseason as they traded outfielder Aaron Hicks for catcher John Ryan Murphy. They also signed Korean free agent Byung Ho Park to provide power to this offense and will force Sano to the field (potentially third base). The biggest loss from the 2015 team is the retirement of Torii Hunter. With the outfield depth that Minnesota has, they may not miss him for tangible reasons. Joe Mauer is still the team leader and takes up $23MM of their current payroll. Mike Pelfrey (30 starts) is the only free agent in the starting rotation and the Twins hope to have Ervin Santana for the entire 2016 season. Closer Glen Perkins was moved from the role late in the season for Kevin Jepsen. An upgrade to the starting rotation would be a luxury but look for Tyler Duffey to replace Pelfrey in the rotation. If Phil Hughes can return to 2014 form, that would be a huge boost. Same goes for Ervin Santana. There is probably too much in place here already for the Twins to make a huge signing. The same would go for the offense because as of this point the Twins may have almost too much depth, if there is such a possibility. The latest rumors have Trevor Plouffe staying with the Twins and between him, Mauer, Sano, and Park the Twins have four players for three positions. The Twins proved that they weren’t worried about outfield depth with the Hicks trade, but a veteran leader (Alex Rios?) may be nice to have if the player is willing to accept a part-time role. I predict nada for the Twins. They will be at the meetings but mostly enjoying the Florida sun and dreading their return to wintry Minneapolis. This team should be content with the team they have and be ready to contend in 2016. The Indians were a sleeper pick for many heading into the 2015 season. With an elite, albeit unproven, rotation and one of the top skippers in the league, there was reason to believe in Cleveland. It never really panned out for the Indians even with a late run in the second half of the season. The Indians will return the same core of an excellent rotation with another year of experience for the 2016 team. Will they have enough of an offense to provide those pitchers a lead? Will an underrated bullpen continue to shine? No player on the Indians roster hit 20 homeruns in 2014. With Carlos Santana and Michael Brantley in the lineup, that wasn’t expected. It would be great if both of those guys can get back to their own personal standards but power is a big need here regardless. Brandon Moss and Nick Swisher were supposed to be a DH/OF platoon that was able to at least provide some power. Neither did and both were shipped out of town in the middle of the season. Outfield is one of the biggest needs for this team and if they can get a power-hitting corner outfielder, that would be ideal. Jason Kipnis and Francisco Lindor should be able to be amongst the league’s elite as a middle infielder duo as there is in the league. Third base leaves something to be desired and it almost seems like a guarantee that will be filled in via free agency. This would be a great spot for Yoenis Cespedes and I think the city of Cleveland would agree. This may also be a nice place for Chris Davis. Both of these guys would take a lot of money and with the 26th highest payroll in the league, that may not be in the cards. Third base is one of the weakest areas in free agency and a trade would make a lot of sense considering the Indians depth in their starting rotation. There has been a lot of talk about trading Carlos Carrasco and this is probably the hole the Indians are aiming to fill. I am going to say the Indians provide a surprise and land a power corner outfielder and I will pick Cespedes as the find. I’ll double down and say they get David Freese to fill in the third base spot. I think the Indians may push some chips towards the middle of the table to try to gain the top spot in the AL Central. As I was doing my free agency research on the Indians, it hit me how similar their story was to me. They seem like a replica to the team I spend most of my baseball research on, the Chicago White Sox. A sleeper last year – check. A strong rotation – check. An average bullpen – check. Can use some of that rotation as trade bait – check. Needs being third base and corner outfielders, preferably with power – check, check and check. I chose a trade for Todd Frazier as my dream move for the White Sox this offseason. I believe the biggest need is a power third baseman for this team but corner outfielders are also needed. The Avisail Garcia experiment will most likely continue and if it doesn’t work out, look for the White Sox to make a move on him quickly during the season. As bad as Jeff Samardzija was in 2015, his 200+ inning will need to be replaced and right now it’s looking like that should be Erik Johnson. A long reliever/veteran/spot starter would be a nice luxury. As shallow as third base is in free agency, outfield is as deep. Cespedes, Upton, Gordon would all be nice adds for the White Sox. Dexter Fowler and Denard Span should be more cost-effective but would also be an upgrade. Like I mentioned above, a project starter (Mike Leake?) would be nice to have and if the Sox decide to trade from their rotation, that would make the move even more necessary. I don’t predict the spending spree or as many new faces as there was last offseason. I predicted Freese to the Indians so I can’t really predict him here. I will say Howie Kendrick will be the move made and possibly some shuffling around the infield will be made to fit him in. I do think a trade is likely but I’m still not sure where this team goes heading into 2016. I think we will all learn a lot early next week. With six players garnering eight figure contracts, the Tigers are left with no decision other than to contend in 2016. This even looks worse if you look at future payroll so the challenge for new GM Al Avila is to try to avoid what the Phillies have become. With these aging stars, he still wants to be able to bring in a fresh new crop to be able to not let these contracts sink the team as much as Philadelphia did. Last year was a good start with selling off David Price and Yoenis Cespedes while not doing a full re-build. The Tigers have been active this offseason already bringing in new closer Francisco Rodriguez (farewell to the Joe Nathan era) and Jordan Zimmerman will try to be the Price replacement. The Tigers may have replaced Price, or so they hope, but they still are faced to lose the 31 starts put up by Alfredo Simon and still count on a full season from Justin Verlander. Kyle Lobstein made 11 starts in 2015 and will probably be the number five starter. Top prospect Daniel Norris (acquired in the Price trade) will be counted on being a front line starter already in 2016. The Tigers are still tied to a lot of rumors for starting pitchers but Zimmerman may be the only move they make. The Tigers lost one of their platoon catchers (and the son of the GM) Alex Avila to the White Sox so a backup catcher will be targeted. With Cespedes and free agent Rajai Davis both out, there is need for an outfielder. Would the Tigers be willing to increase the payroll even further for one of the star free agent outfielders? With the Tigers you never really know and can’t put anything out of the question. Would anyone really be surprised if the Tigers land Cueto or Justin Upton? It’s only money, and it’s none of ours, so the Tigers top targets can not be limited by any payroll concerns. I will go conservative here and say that the Tigers are done with their impactful moves but they will bring in a few backups for their aging stars who most certainly will be spending time on the DL this year.